I was perusing-surfing through Facebook sometime last week when I saw a friend was making lasagna in a slow cooker for the first time. She was asking her “friends” if any of them had ever made lasagna in a slow cooker and if so, did they have any tips. 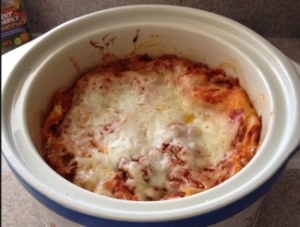 This caught my attention on a variety of levels, not least of which was I love lasagna and had never thought before to make it in a slow-cooker. I have been thinking about slow cookers a lot recently, but less so about how to make lasagna, and more so how most people treat their 401k about the same as they treat a slow-cooker during the 6-8 hours of cook time. 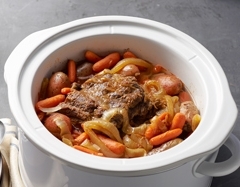 Slow cooking success is about getting the right ingredients together and then leaving it alone while you go about your other business for the day. Does that describe how you manage your 401K? Did you “set and forget” your 401k a long time ago? First things first, did you know that only approximately one of every three Americans has a 401k? Did you know the average 401k balance in the United States is nearly $83,000? If there is that much money involved, does it really make sense to NOT have a process for evaluating how your 401k is performing? Unlike slow-cooked pot roast, chili, vegetable soup or lasagna, there is no guaranteed recipe for insuring that your 401k ends up like you want it to end up. Since there is no certain recipe for success, doesn’t “leaving your 401k alone” eliminate your opportunities to make corrections that may be obvious just by lifting the lid and taste testing your meal? So why do most people prefer to hope their 401k turns out like a meal in a slow-cooker as opposed to having a plan to check on the performance of what is often many people’s second or third largest financial asset? Simply put it’s because they don’t know what to do…and if people don’t KNOW what to do, they tend to do nothing. Which brings us full circle to the point that if there is no formula to guarantee 401k success, is doing NOTHING the best plan you have? 401k-Checkups bridge that knowledge gap by providing an easy to use, easy to understand TOOL to help people evaluate their 401k, 403b, 529 or Mutual Fund portfolio. For less than the price of a meal, you get an independent analysis of your existing 401k that helps you determine if things are proceeding like you want OR it may give you ideas of where to either add to or take away from your existing investments. You’re the boss… you’re the “chef” working to create your own retirement. Just as anyone making a meal needs utensils and vessels for cooking the ingredients, so you too need tools that can easily help you in the work of managing your retirement savings. 401k-Checkups will either give you confirmation your 401k plan is working as you want it to OR you will easily be able to identify how each of your individual investments are affecting your overall 401k performance. It’s a true Win-Win as opposed to doing nothing. So the next time you think of a slow-cooker, think of your 401k? Ask yourself, with that much money, is it better to “set it and forget it” or is better to have 401k-Checkups as part of your retirement cooking process?